Is Invisalign Teen Right for Your Teenager? If your teen needs braces but is worried about having a mouth full of metal, then Invisalign® Teen could make your teen smile. Invisalign Teen is a barely visible way to straighten teeth and repair dental problems for teens today. 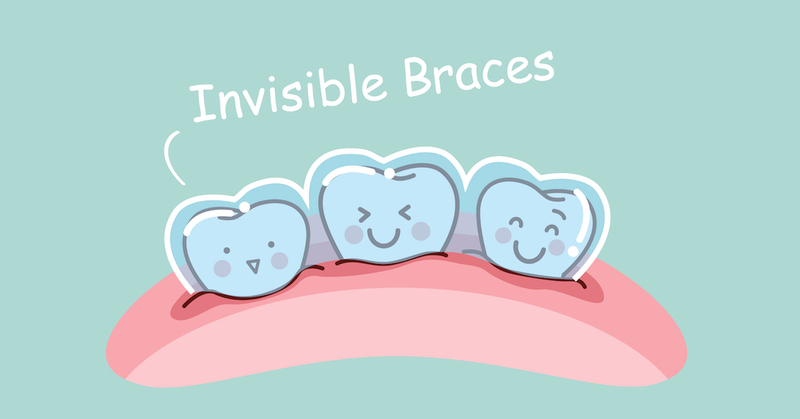 These clear braces use a series of clear, customized aligners to gradually move a teen’s teeth. To help the teeth move, these clear aligners must be worn for at least 20 hours each day and replaced with a new set every two weeks from an Invisalign provider. Their clear construction and lack of metal brackets and wires makes them a more discreet and attractive alternative to metal braces. Treatment with Invisalign Teen takes about the same amount of time as traditional metal braces. But since every teen is different, your Invisalign provider will determine your teen’s length of treatment by their personal dental conditions. Similarly, the cost of Invisalign Teen is comparable to metal braces, but individual costs vary by the location of care and severity of the case. Everyone was extremely nice and informative!. Taken back at the appointed time with quick friendly service. My first visit to a Dental One hygienist was with Alicia. She was excellent….very thorough and explained everything well. Friendly caring staff. Dr Whang made me feel at ease throughout the process of my root canal. Didn’t get her assistants name but she was also top notch.